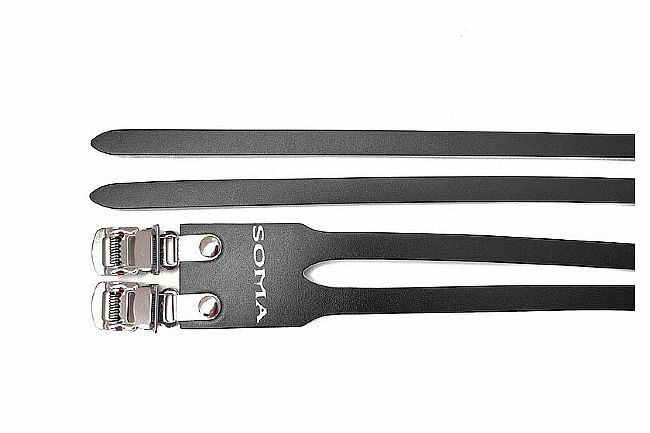 The Double Leather Toe Strap Pair offer an adjustable, reliable option for securely engaging feet with pedals. Each strap has two side-by-side strips of leather. The clamping buckle makes for easy adjustment and safe fastening. Sold as a pair. Available in black or white.